I have tried so many liquid lipsticks that promise unbelievable staying power (see how awful they looked after my lunch) but even the expensive ones would not look perfect after a meal anymore. 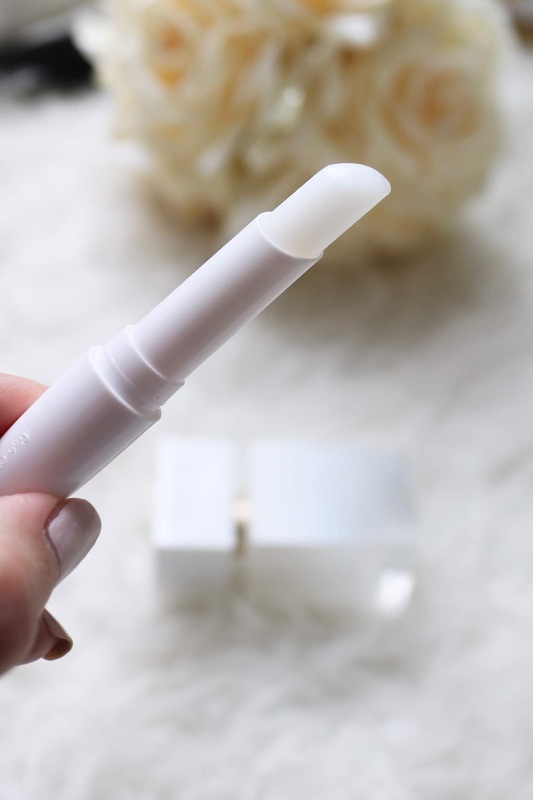 So what a surprise, that this cheapo for under $10 actually does what it promises: All day relentless lip color, no flaking, no caking, no fading, and no drying for comfortable transfer-proof wear! I found all these promises to be true! And about which lipstick am I talking? 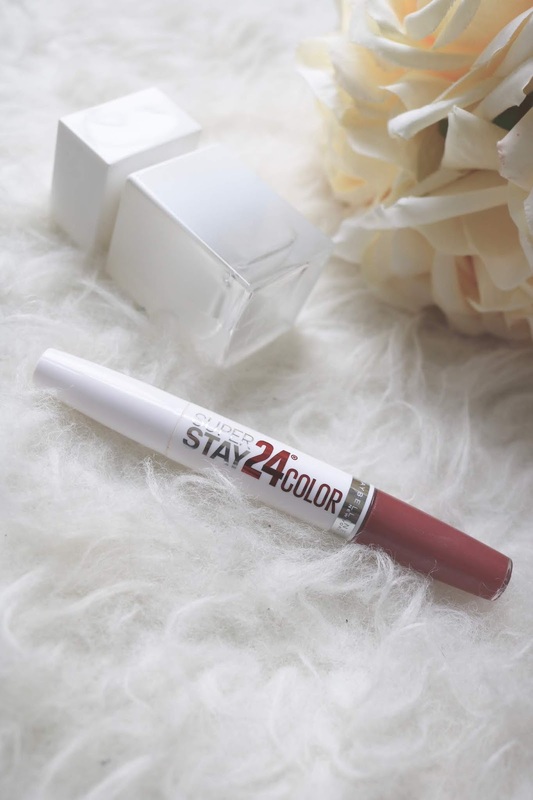 The Maybelline SuperStay 24 Liquid Lipstick. This is a 2-step system: on one side you have the liquid lipstick color and on the other a super moisturizing lip balm. After this 2 step process I find the color does not move or budge and not even a kiss, drinking or eating will do so! You can see above how my lips looked after my lunch today (which was Chicken Alfredo btw!). My lips looked almost as good as before- maybe a tiny bit color vanished in inside middle of my lips and a little on the vertical lip lines. But nobody would ever see my lips that big! Remember: this is is a macro-shot and from 4 feet away my lips look "like new"! 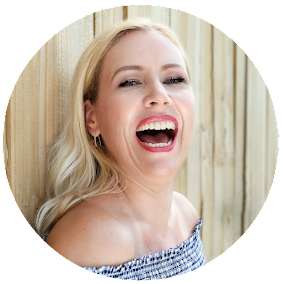 I am using here the color Timeless Rose that is a mauve pink that looks always right and truly timeless! 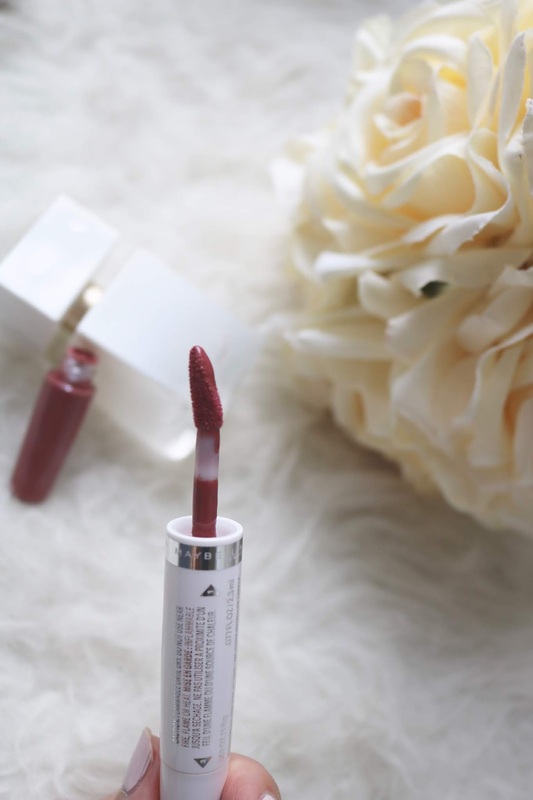 I have found also that -depending on how thick I apply the lipstick- I can change this color: from a sheer light rose to a really dark almost wine-red color! Pretty cool! 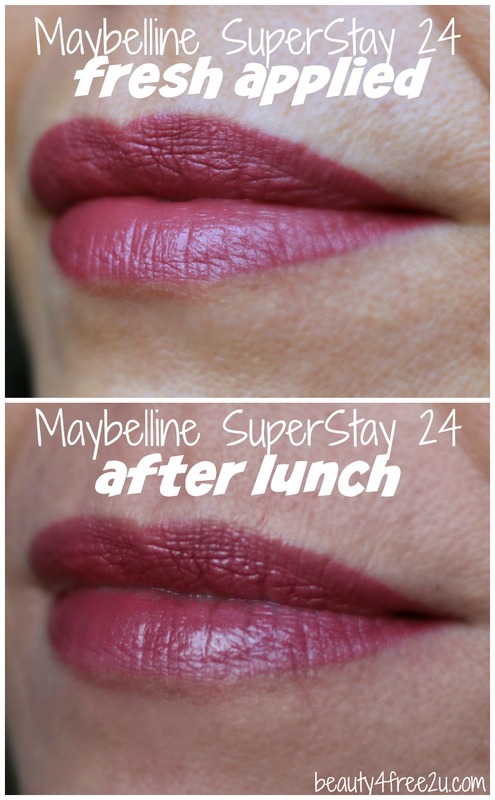 There you go: the Maybelline SuperStay 24 Liquid Lipstick will last through your meal & drinks! Get it at Ulta// or Amazon! Available in a ton of gorgeous shades!!! Disclaimer: I bought this. Contains Affiliate links. Read my full disclosure.